RANCHO PALOS VERDES, Calif. (KABC) -- The residents at Belmont Village in Rancho Palos Verdes are helping cancer patients. Local high school student Hana Meroth was searching for a project for her Gold Award in Girl Scouts. She turned to her grandmother's Japanese heritage for inspiration. Hana came up with the idea of making origami cranes and called the project "Cranes for Comfort." Japanese legend says if you make 1,000 cranes you are granted a wish of health. 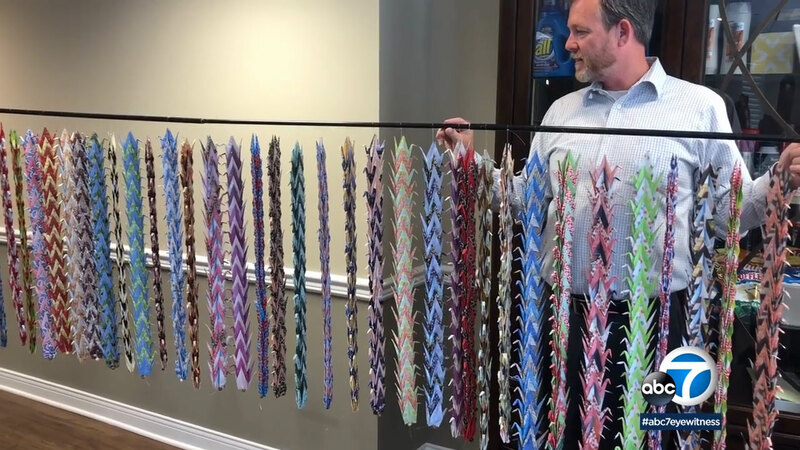 It took a full year, but Hana and the residents at Belmont Village were able to make 1,000 paper cranes. Belmont officials say the repetitive nature of origami is good for their residents' dexterity.